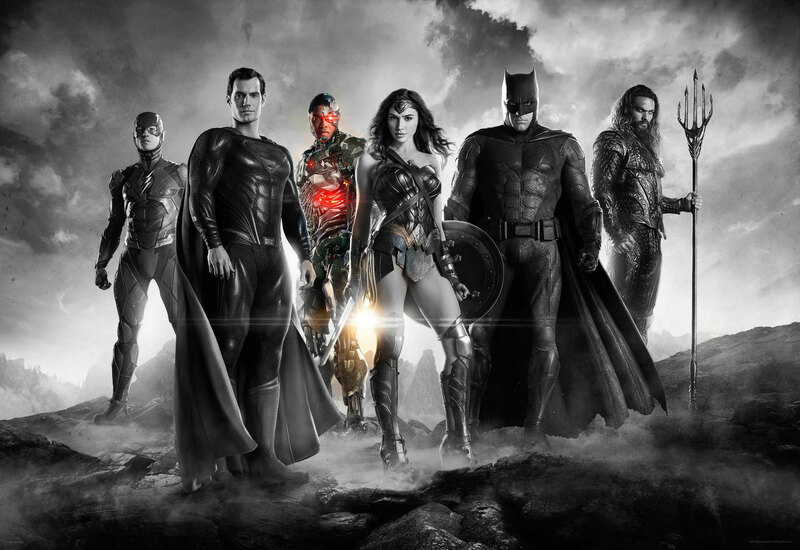 Cyborg is the multi-tool of the Justice League - Super. Black. November of 2017 ushers in the live-action cinematic version of DC’s walking Booyah machine, Cyborg. Here is a spoiler-free take on the man known as Victor Stone. In recent years, Cyborg has been promoted to the main roster of DC’s perennial super force. The Justice League. Seeing Cyborg as a key part of the JLA is a large step for the character. His trajectory from Teen Titan to League member to League Founder is akin to someone working their way from the mailroom to boardroom. The writers of DC saw potential in Victor, and it is now paying its dividends. Remember when Cyborg met Obama? – Super Black. In Justice League, Victor is a conflicted, young, metal man. He wrestles with his humanity, mortality, isolation and his eventual hero destiny. Cyborg sees no place for himself in the world, having been transformed by alien technology. Answering the call of Wonder Woman and Batman, Cyborg fights to use his new metal everything for the good of humanity. Cyborg ends up playing a critical role in the saving of humanity from Steppenwolf. The films’ too tall, two-horned, alien bad man. Cyborg’s place on the team, much like in the Injustice video game franchise, is that of the tactician. He is a global Big Brother, and human Google machine. His motivations and conflicted emotions are given just enough weight that a big budget action movie will allow. Cyborg does get moments to shine and show off exactly what a man made of Mother Box technology can do. His prowess with a computer scores him a seat at the big, round table. Show you see Justice League? Fans of comic book culture and superhero mayhem should check out Justice League. It was a fine film that doesn’t deserve all the vitriol it is receiving. The film is certainly better than the previous DCU outings. Just sit back and enjoy the spectacle. Contrary to popular belief, there aren’t as many unexplained decisions in the film. This is Super. Black. This is the show dedicated to superheroes and super villains of all color. We pull from multiple forms of media and learn from the histories of these created characters. For the inaugural episode, we cover everyone’s favorite robot super person, DC Comic’s Cyborg. Cyborg started his superhero career as a Teen Titan.His popularity has grown exponentially over the past few years. This led to the character’s promotion to the main roster of the Justice League. He has appeared in multiple cartoons such as Teen Titans and Justice League: The Flashpoint Paradox. Cyborg has live-action appearances as well, guest-starring on multiple episodes of the Superman TV series Smallville. Victor makes his big screen debut in the upcoming Justice League feature film in 2017. In the recent comic book storylines, DC went retconned their cannon to make Cyborg a founding member of the Justice League. With such accolades and forward momentum, it’s only right that we kick off our series with this robotic dynamo! Join us as we celebrate Cyborg in all his glory. To participate in the show, please visit out the contact page and reach out with any questions or comments you may have. Please Rate, Review & Subscribe to Super. Black. on iTunes. Tell a friend or two as well. Help us spread the word about awesome superheroes! Black WWE Tag Teams - Super. Black.